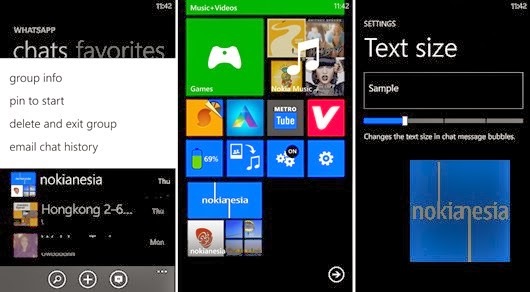 More features coming to "WhatsApp" messenger for Nokia Lumia with Windows Phone 7.x and 8. The latest version of "WhatsApp" brings lock orientation for Nokia Lumia with Windows Phone 7.x, 3 new languages, they are: Croatian, Hungarian, Lithuanian. Download today at Windows Phone store, and enjoy new "Pin chats to Start/Tile" features that helps you to speed up reaching your current chats/conversation.